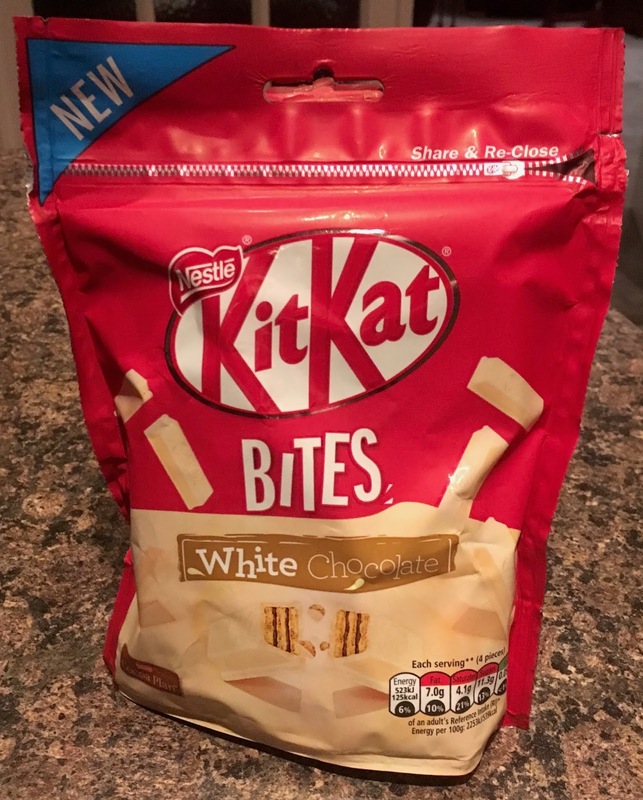 These new Kit Kat White Chocolate Bites from Nestlé come in a re-sealable packet having "Share & Re-close" on the rip 'n' zip top of the packet. Being particularly greedy the whole 'sharing' and 'resealing' concepts are things I'm unfamiliar with. 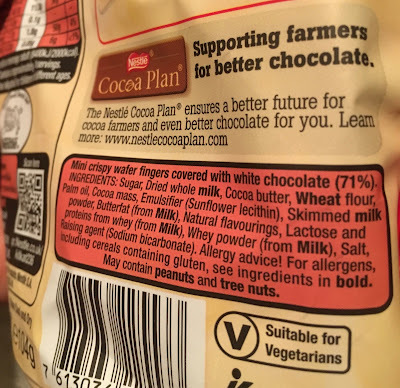 Besides I generally eat chocolate for pudding after dinner rather than 'grazing' between meals. It's a justification in my head for all the calories. It also gives me a chance to have a hot white chocolate drink. 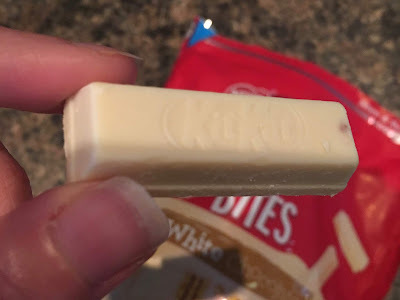 On opening the packet there was a multitude of three(ish) centimetre long white Kit Kat bars inside. Popping one into my mouth there is the usual Kit Kat centre wafer surrounded by a creamy white chocolate. These White Chocolate Kit Kat Bites are very tasty indeed. Perfect for an afternoon snack if you're that way inclined, or for pudding washed down with a hot white chocolate drink. Not for sharing! The 104g packet contains 125 calories per four pieces, with 7g of fat, 11.3g of sugar, and 0.05g of salt. Please see photograph for ingredients.